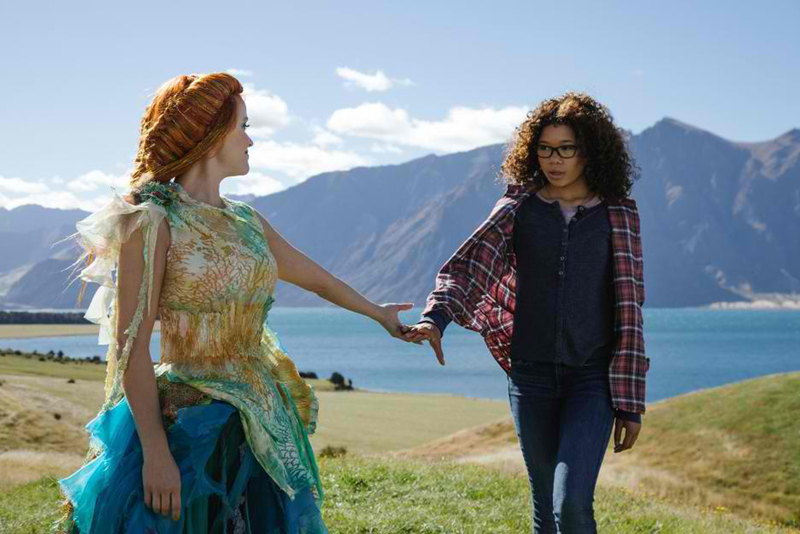 Author Madeleine L’Engle's beloved novel A Wrinkle in Time is brought to the big screen by visionary director Ava DuVernay from a screenplay by Oscar winner Jennifer Lee and Jeﬀ Stockwell. A Wrinkle in Time is an epic adventure that takes audiences across dimensions of time and space, examining the nature of darkness versus light, good versus evil and, ultimately, the triumph of love. Through one girl’s transformative journey led by three celestial guides, we discover that strength comes from embracing one’s individuality and that the best way to triumph over fear is to travel by one’s own light. The film stars two-time Academy Award® nominee Oprah Winfrey as Mrs. Which; Oscar, Golden Globe and Emmy winner Reese Witherspoon as Mrs. Whatsit; Emmy nominee Mindy Kaling as Mrs. Who; Storm Reid as Meg Murry; Levi Miller as Calvin; Deric McCabe as Charles Wallace; Gugu Mbatha-Raw as Mrs. Murry; Michael Peña as Red; with two-time Emmy winner Zach Galiﬁanakis as the Happy Medium and Emmy nominee Chris Pine as Mr. Murry. 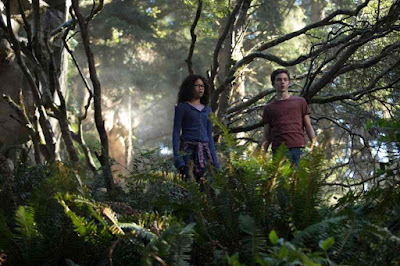 When Madeleine L’Engle’s young adult novel A Wrinkle in Time was ﬁrst published in 1962, it became an instant classic. The timeless story of a young girl searching the universe for her father enchanted countless readers around the world and spawned four additional books featuring the same characters known as L’Engle’s Time Quintet. In 1963 the book was awarded the Newbery Medal (as the most dis nctive piece of work in children’s literature for that year), and its popularity has continued to grow since then. Today the book is available in 35 languages and has sold millions of copies around the world. A Wrinkle in Time is a timeless tale, and the combined perspec ves of DuVernay and Lee add rich layers to the powerful story in a way that lovingly preserves L’Engle’s voice and simultaneously brings a new vision to life.